Visitors can travel short distances between towns or historic resorts in these hot air balloons. 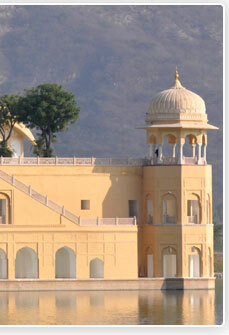 The best, of course, is to coast over fairs such as Pushkar or Baneshwar or Nagaur in a hot-air-balloon. The most popular mode of transport in Rajasthan could also provide the ideal leisure, since traveling on a bicycle is almost therapeutic, provides exercise without being exhausting, and is certainly inexpensive. 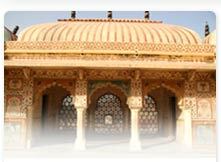 Camping is a fine art in Rajasthan with established camps in set locations that would be fit for royalty. Especially created tents include those with bedrooms, a small hallway or leisure area, and attached bath. The aristocracy were enamoured of the gentlemen's game that was so popular in British India. 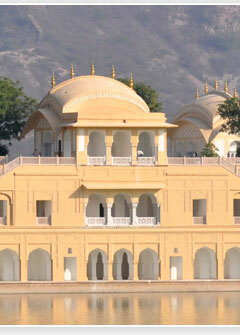 Unfortunately, the weather did not permit them the indulgence of creating golf courses in this arid wilderness, and it was only in Jaipur, as a part of the large scale palace renovations undertaken by Maharaja Man Singh that a course was added to the city. The people of Rajasthan have adopted different sporting events over the years, and these have provided a great deal of variety to their lives. Interestingly, there is an eclectic quality to these sporting events that can range from more sophisticated sports such as golf to the well-known Rajasthani's passion for kite-flying. A sport that is begging to be tried out in Rajasthan, with its open, sandy countryside, this has so far only been offered by operators who have brought in their equipment with them. Rajputs have been keen equestrian and they take to the horses like a fish to water. Their taking to polo in big way was only natural. Their association with polo dates back to the Mughal period and miniature paintings at the Mehrangarh Fort bear testimony to this early introduction to the game. 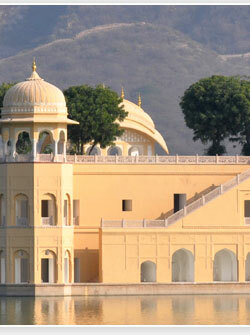 The hilly areas of Rajasthan provide several days of ideal trekking opportunities. 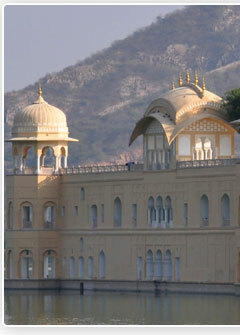 The Mewar belt with the Udaipur-Kumbhalgarh-Chittaur combine, or the area around Mount Abu, or the Sariska-Alwar-Amber belt is best for trekking. When the first motorcars started coming to India, Rajasthan's princes and aristocracy were among the earliest to order them. These, in turn, have become the venue for various rallies. Water sports may appear an alien concept in Rajasthan but the presence of large lakes has actually made the development of such sports possible.